Many of you might be aware of this new offer by Airtel but some are not getting this offer & some are unable to use it. That page is also heavy due to lots of iframes, so here I am giving you short and easy way to avail this offer. 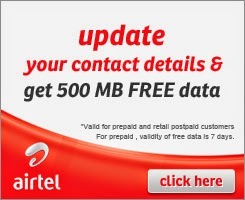 In this offer you will get 500MB of free internet data for Airtel for 7 days. 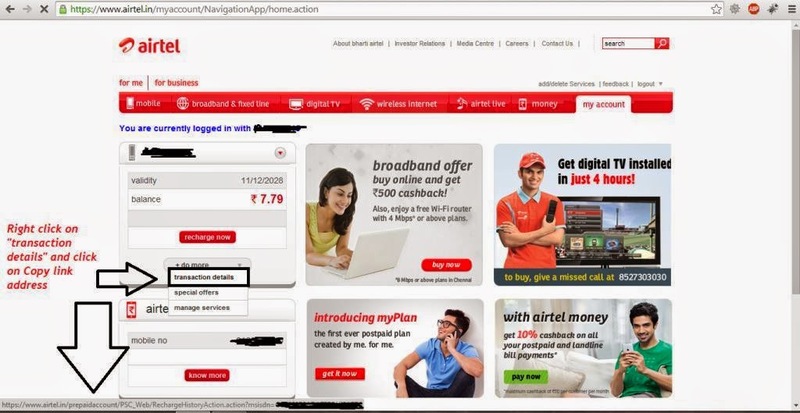 This offer is given by Airtel when you add an alternate contacts to your account. We have shared many free internet tricks, you can use "Search" option for the same. So now coming to the post on how to activate this offer easily. This method will 100% work for All India. Secondly replace "MobileNumber" with your 10 digit Airtel mobile number. You will get an OTP code to your mobile. Enter that and click "Submit". Now open this link and you will get that offer. Click on the offer image. Now enter alternate mobile number and email id. Now you will receive a code to that alternate mobile number. Enter that code and you will get your offer activated. 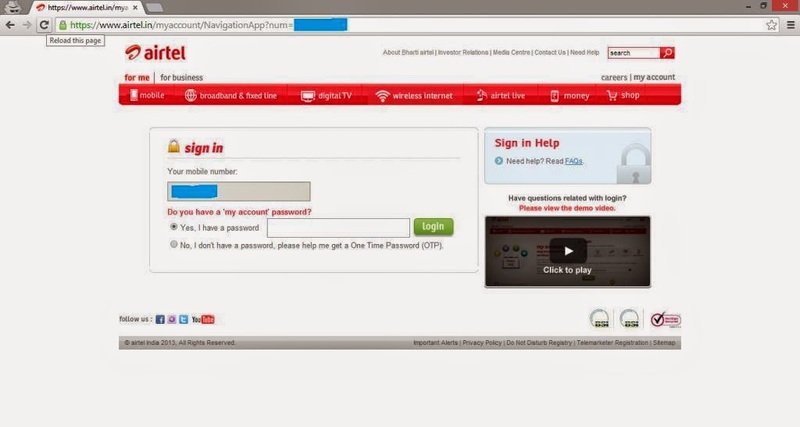 You will also get a confirmation message to your Airtel number. I hope you liked this post. If you liked then please do share the post link on your Facebook, Twitter or Google + Profile. dear sir my name is ayush gupta and i am from rajnandgaon (chattisgarh).sir its a honour to talk to you...these are awesome golden tricks....god bless you all..dear sir but i have a problem..sir i had tried the above trick and a message come in my mobile that 3g bill plan will be activated o n your airtel mobile within 30 minutes..but the confirmation message doesnot come ? ?i have waited for 45 minutes but the pack doesnot activated what should i do?? thankyou so much sir in advance!! !you are a genius!!!!!! its really unique n also ur website.